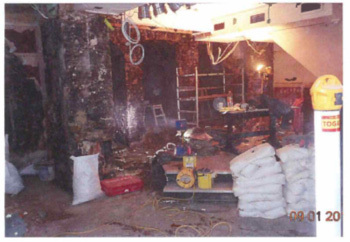 Kenwood Plc are currently working on a project within a Public house in London. Originally opened the 1869 the pub was re-built in 1898 and refurbished in 2002 when it changed hands. Kenwood were called in following water ingress to the lower ground floor where the vaulted seating booths are used for dining in the busy, vibrant public house. This area consists of many vaulted rooms and recesses to accommodate dining tables and bar areas well as the toilet facilities. 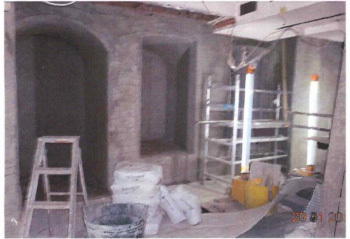 Being located below to pubic footpath, this treatment required extensive use of Kenwood basement tanking and re-plastering systems. This treatment is highly effective and with the use of waterproof additives at every stage we create a barrier against moisture ingress. Backed by the most comprehensive guarantees available and with our highly trained and skilled operatives working, the pub will be fully operational very soon.